What is the future for Catalan independence now? Since Friday’s joyous scenes in Barcelona following the Catalan declaration of independence, the reality has turned somewhat sour for supporters of secession from Spain. The weekend saw Madrid impose direct rule with charges brought against Catalan leaders, some of whom fled to Belgium. 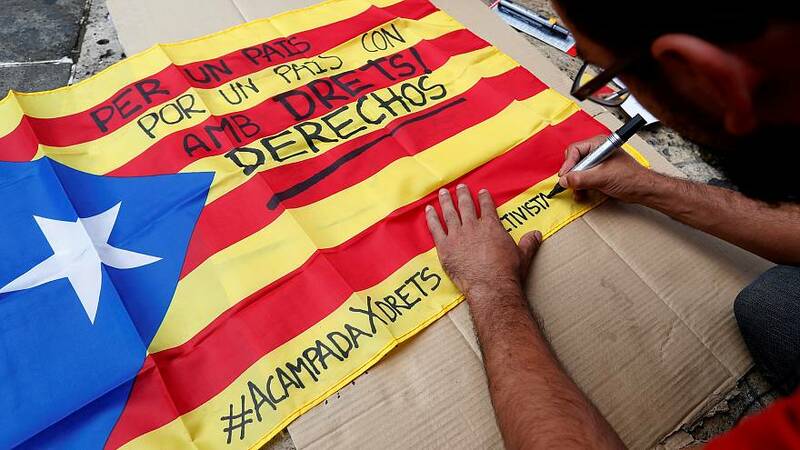 On Tuesday Spain’s Constitutional Court blocked the regional parliament’s declaration. British historian Sir Antony Beevor – an expert on the Spanish civil war, still cited as relevant to today’s events – believes the separatists’ euphoria will be short-lived. He recognises however that the Spanish government faces risks in enforcing its authority, while arguing that misconceptions exist concerning its exercise of power. “I think that (prime minister) Rajoy and the Spanish government are in a difficult position,” he said. “Most people outside Spain don’t recognise sufficiently the fact that actually the Spanish judiciary is fiercely independent, so the Madrid government does not have necessarily total control… I don’t think the central government wants to turn them (the Catalans) into victims. This has been the great game which the Catalan independence movement has been trying to play, trying to show itself as almost still the victims of Francist repression, which is preposterous: they had a very large degree of autonomy.